The best way to combat the chance of being a fraud victim? File your tax return early and get your money before the criminal can. 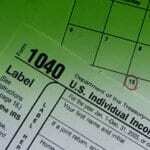 Here’s some of the popular tax scams being used. 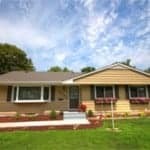 The American Taxpayer Relief Act of 2012 extended some popular tax deductions, credits and other breaks for homeowners through 2013. Here are the details of the extended tax breaks. 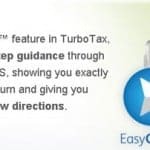 Over the years TurboTax has quietly become one of the top names in tax preparation software. Their software is known for it’s ease of use and it’s accuracy. Why Is My Paycheck Less This Month? Did My Taxes Just Go Up? If you have an earned income you’re likely to see a reduction in your paychecks this year. Here’s why. With all the changes being made due to the American Taxpayer Relief Act legislation, the IRS is now scrambling to make updates so they can start accepting returns for 1040 filers by January 30th. 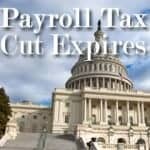 Congress passed a fiscal cliff measure on January 1st that means tax rates will remain untouched for most taxpayers. Here’s why your taxes are probably going up anyway. Who Will Be Affected By The Fiscal Cliff? As 2012 comes to a close and we all gear up for the new year, all we’ve been hearing about on the news is talk of the fiscal cliff. Who will be affected by the fiscal cliff? The 2013 contribution limits for Health Savings Accounts went up over the previous year. The minimum deductibles and maximum out of pocket costs associated with a High Deductible Health Plan also went up. The 2013 marginal tax rate tables are projected to have slight changes in the rates for higher income taxpayers, and slight bumps in tax rate income ranges due to inflation. At the end of 2012 we’ll be encountering the fiscal cliff, an increase in tax rates, expiration of deductions and other tax provisions that could lead to huge tax increases. Here’s how it could affect you. A lot of people buy things online to avoid having to pay sales tax. 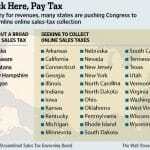 Congress may soon be making changes requiring online retailers to collect sales tax. 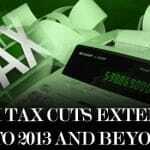 Will The Bush Tax Cuts Be Extended By Obama And Congress Into 2013 And Beyond? At the end of the 2012 tax year the Bush (or Obama) tax rates will increase to previous levels. Will the President and Congress act to avoid a tax increase? 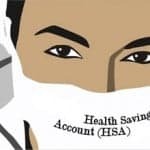 What Is A Health Care Flexible Spending Account (FSA)? How Does It Work? Flexible spending accounts are a way to allow employees to save money on taxes by setting aside money to pay for health care costs. But how do they work?